Daniel Smith Watercolour Sticks offer remarkably rich, vibrant colour and the same pure artists' pigments as their Extra Fine Watercolour Paint Tubes. Very portable and long lasting, they make excellent on-the-go painting tools. Their stick form also allows you to combine painting and drawing, either by using the stick wet or as a dry drawing implement to bring an interesting mixed-media element to your work. 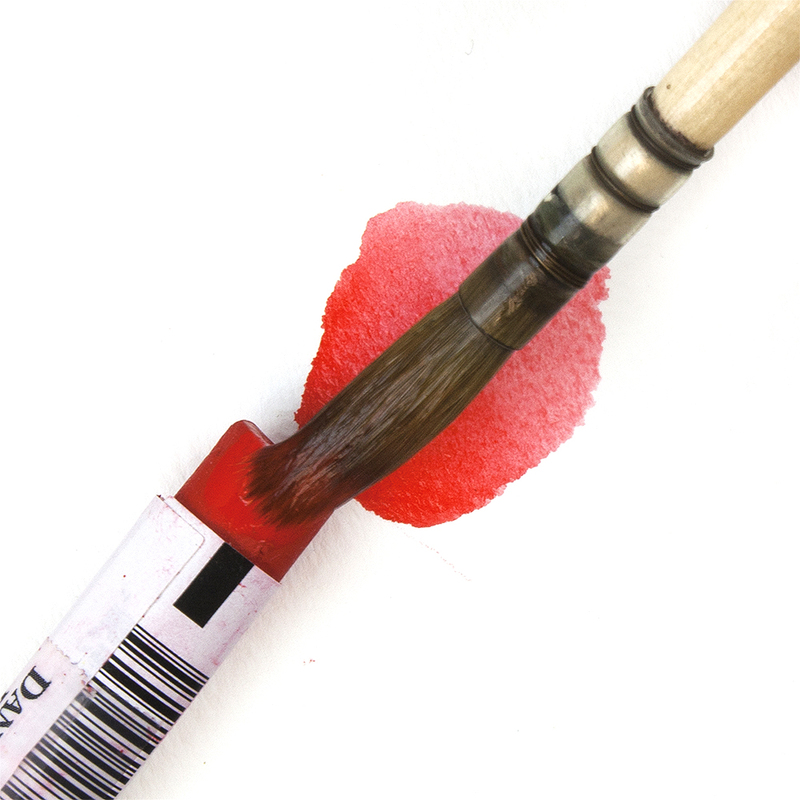 The sticks can also be used like a traditional pan colour, try wetting your watercolour brush and lifting colour directly from the surface of the stick! Each stick offers exceptional value as a stick is equivalent to 3 whole pans of watercolour. The sticks can be cut down and inserted into empty half pans to use as you would a traditional pan watercolour. All the sticks are the same price, which even includes a selection of PrimaTek colours! RECEIVE A FREE BOX WITH EVERY THREE STICKS PURCHASED. For example, order 6 sticks and receive 2 free boxes! 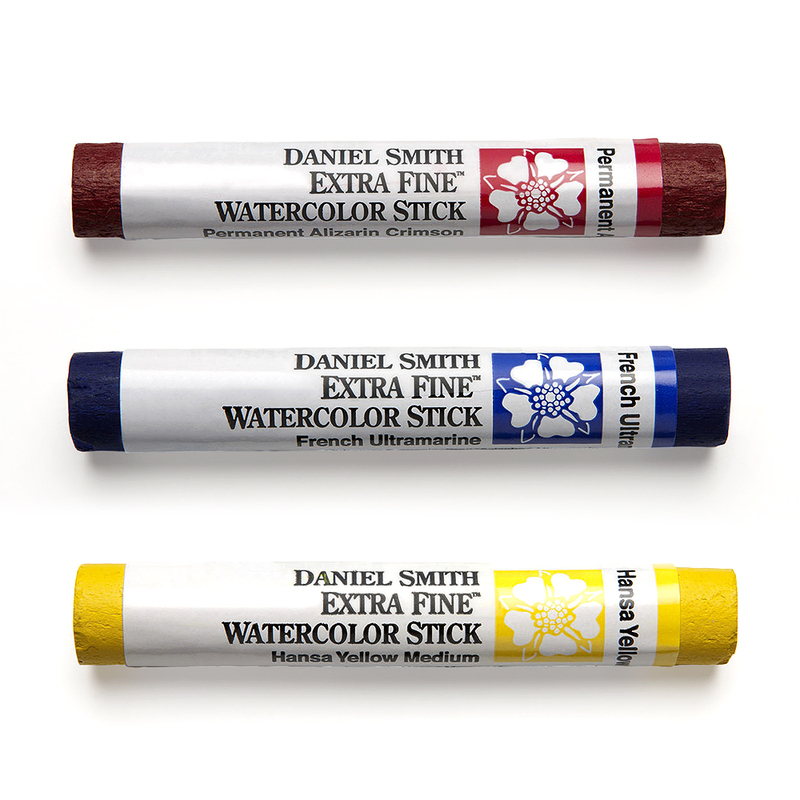 PIGMENT POWER - Watercolour Sticks offer the exact same superior intensity as Daniel Smith Extra Fine Watercolour paints No clay or wax fillers of any kind. 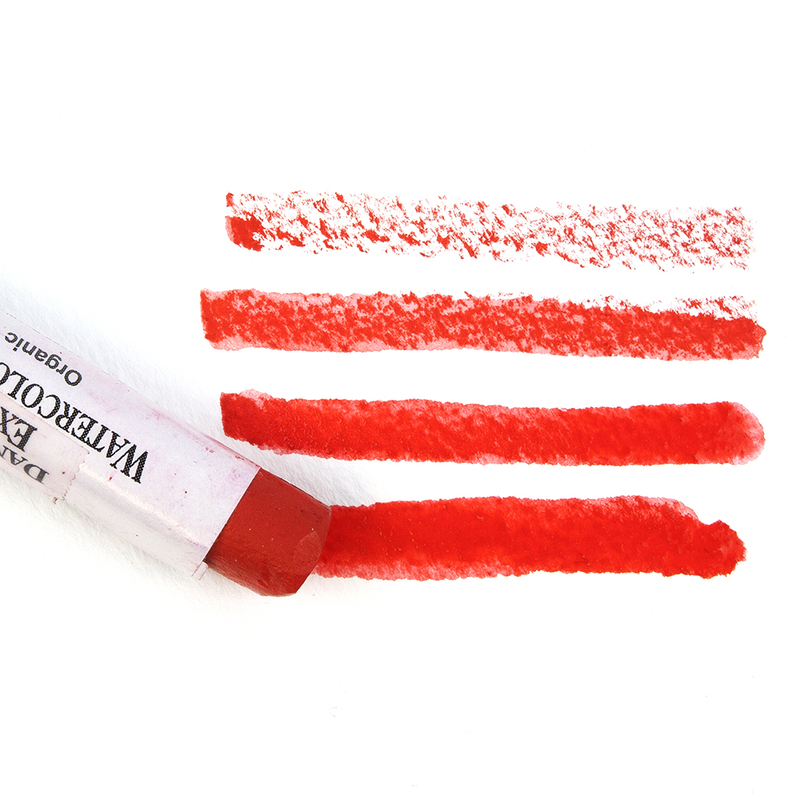 PAINT & MIX - Paint directly from the Watercolour Stick by applying a wet brush. Perfect for plein air and travel. No watercolour palette required. 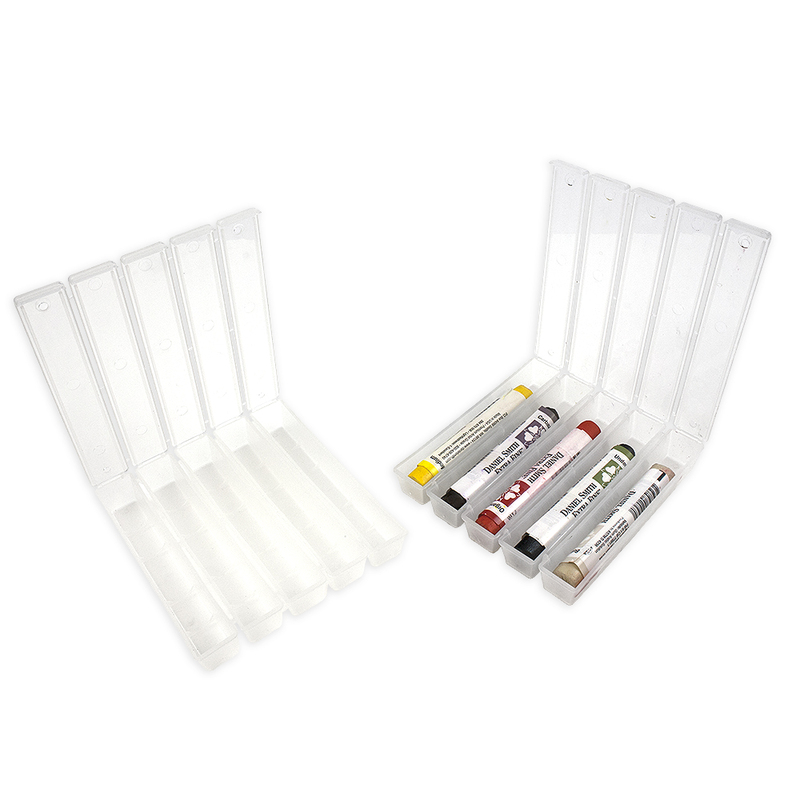 UNIQUE DRAWING TOOL - Watercolour sticks are an expressive and fun tool for drawing directly with watercolours. Comfortable to hold and the tip can be sharpened to any desired width. MAKE YOUR MARK - Draw directly on to wet or dry paper, add water to create light washes, rich saturated layers or to build up strong textures. A beautiful bluish-red pigment from the transparent staining family, Alizarin Crimson is listed on the basic palette of a vast majority of artists. The transparent non-staining properties of this cool yellow can effectively warm darker hues without affecting their transparency. Landscape artists rely on Aureolin to successfully glaze their watercolours. This pigment quality, along with the ability to lift and to create soft edges, makes Aureolin especially useful to portrait and floral painters as well. This semi-transparent Yellow Green appears opaque in mass, yet lifts cleanly. It is low staining, making it excellent in portrait mixtures for dark flesh tones. Use concentrated to diluted mixtures in florals and field flowers. This lemon yellow hue works well with purples and all the greens. Spatter or drop a brushload of Buff Titanium into a moist wash and enjoy the pigment displacement. Unique to Daniel Smith, Buff Titanium resembles the ecru shades of sand and antique lace and simulates the porous texture of an eggshell. It is a most welcome neutral, with semi-transparent to opaque non-staining properties. This transparent to semi-transparent earth pigment, a grayed orange, combines with other hues without a loss of intensity or transparency. Subsequent layers (or glazes) do not sully or stain the other pigments these glazes contact. This rich dark brown earth pigment is popular with artists due to its semi-transparent or semi-opaque qualities. It is lightfast, low-staining, and can readily be lifted to vary its value in otherwise dark passages. Warm Burnt Umber with a little Alizarin Crimson or cool it with blue as your subject dictates. This slightly granular blue-violet is an intense, vibrant colour with high-staining properties. A brushstroke of concentrated Carbazole Violet onto dry paper moves the pigment from black-violet to clear purple, and can invent an iris petal with each stroke. Best when mixed with a transparent pigment, this sky blue inorganic pigment is granular and medium-light in value. Highly permanent and extremely low-staining, Cerulean Blue creates exciting granulation and settling washes. A drop of Cerulean Blue into a damp wash such as Burnt Sienna creates a halo effect around the more dense Cerulean. A brilliant purple with remarkable blue undertones and a granulating texture. Try mixing this bold colour with Prussian Green for surprisingly soft blue hues. At full strength, this violet is dark enough for deep twilight shadows. Mix with water and a range of tones are revealed. A graceful addition to the watercolorists' palette, this is the perfect purple for dynamic floral paintings. Extraordinarily beautiful colour for painting turquoise blue skies, a must have for sunny Mediterranean skies and Tropical seas! Mixing with this pigment helps make bright, transparent shadows, also use it to render the desired patina on a copper pot. This medium-to-dark warm reddish-blue is highly lightfast and of medium tinting strength. Its sedimentary quality increases its versatility. Exploration of this colour reveals some surprising pigment properties beyond its obvious opacity. First, Graphite Gray disperses well and quickly in water so floating the dense pigment onto water or into a wet wash offers and interesting handling method. A dry brushstroke quickly followed by a wet brushstroke spreads some of the pigment leaving the texture look of the drybrush. Aged and weathered wood, fence posts and old buildings are fine candidates for this pigment and approach. Kissed with a touch of orange, this is a pure chroma colour with high-tinting, semi-transparent organic pigments. Hansa Yellow Deep is considered the 'perfect yellow', a fact which offers more control when mixing. Painters can admire the purity of this primary pigment and adjust its temperature while avoiding a gray from a hidden complement. Think of a yellow pepper. Cleaner, more transparent and brighter in chroma than Cadmium Yellow Light, this is a high-tinting, semi-transparent organic pigment. Hansa Yellow is considered the 'perfect yellow', offering more control when mixing. Painters admire the purity of this primary pigment and ability to adjust its temperature while avoiding a gray from a hidden complement. Think of a yellow pepper. Hansa Yellow Medium is a high-tinting, semi-transparent organic pigment. Considered the 'perfect yellow', Hansa Yellow Medium offers more control when mixing. Painters admire the purity of this primary pigment and adjust its temperature while avoiding a gray from a hidden complement. Think of a yellow pepper. Hematite is ground from a heavy silvery-black mineral rich in iron. In a thick wash, the heavier particles settle, creating bold granulation. In a thin wash, it is a soft dove gray. Unlock a wealth of colour with this princely pigment. Rich in texture, this highly saturated purple will granulate to reveal shades of plum and ultramarine. From the deepest purple, this semi-transparent and low-staining pigment continues to deliver as it is applied in ever more delicate washes to the palest lavender. Give a stand of garden Irises the royal treatment, or kiss the sunset with the softest touch. This regal pigment is palette royalty. This organic Vat pigment is a super-staining primary blue. Warmer than most blues, Indanthrone is clear with a delightful range from blue-black to stonewashed denim. Indanthrone Blue offers exciting new possibilities for Indigo skies, water and interesting shadows, as it can be successfully graded to achieve atmospheric and colour perspective. Opaque and cool. This is the most intense black available. It is a sooty by-product of burned mineral oil and tar. Lamp Black mixed with Burnt Sienna can add a trace of warmth to a passage. Think classic black velvet. Use to darken transparent pigment. Imagine a transparent black with an expansive value range and pigment particles that react like magnetic shavings attracting and repelling each other.Lunar Black is an inorganic neutral black watercolor pigment and a Daniel Smith exclusive. Think Black Magic-and re-think black. Water frees this amazing three-pigment blend to perform miracles. Watch and wait as Anthraquinoid Red floats, Ultramarine Blue settles and Viridian grays the resulting violet colour. Selectively blot and lift a surface wash to expose delicate blue-greens. A description of the fascinating light and dark washes can never match a personal experience! Unlike other brands, Daniel Smith New Gamboge is an excellent lightfast formulation. It's a transparent organic pigment from the yellow to orange zone of your colour wheel. More staining than Yellow Ochre and equal in tinting ability to Raw Sienna. It's a good substitute for those colors when transparency is desired while avoiding thick, muddy passages. Use this colour where transparency and staining ability are desired. Try it along with or in place of Nickel Titanate Yellow and Naples Yellow. The most vivid of all pinks, has long been requested by DANIEL SMITH customers. A primary magenta with a hint of fluorescent pink granulation producing some of the most brilliant glowing mixes you have ever seen. Try mixing Opera Pink with our New Gamboge for fiery oranges or with an Indanthrone Blue for stunning violets and glowing purples. This semi-transparent low-staining deep orange is sometimes called Scarlet Lake or Rose Carthame. Oranges can be very difficult to work with, but this one excels in handling and is a good option over Cadmium Orange. Permanent Alizarin Crimson, developed with Daniel Smith's customers, blends pigments to produce an exceptionally lightfast red with true Alizarin Crimson character and versatility. Like classic Alizarin, it is vibrant, non-granulating, medium staining and very transparent, with the undeniable advantage of permanence. Try a rich and bold application or a blush of crimson color in a light wash, we know you'll love this beautiful shade. This organic semi-transparent pigments, with high-staining properties, yields a very clean, vibrant mixture. The Phthalo Green Blue Shade and Hansa Yellow Light used in this formulation gives it excellent lightfastness. For cool, clean staining shadows and reflected light on windows. Super staining, super transparent Phthalo Blue is a popular pure chroma organic pigment. Mix with Hansa Yellow for luminous greens. A powerful blue with a slightly red undertone, this popular pigment is valued for its strength and economy—just a daub of paint can colour a whole sky. A dash of blue gives a full range of value. Mix dark colours for shading and shadows by combining Phthalo Blue with Quinacridone Rose. Use Phthalo Blue's transparent quality to create containers and water around stems. Concentrated to diluted states, it is a transparent and super staining green. Organic and absolutely lightfast, most artists find this color indispensable. The slightly bluish shade can be readily modified with yellows and reds.Creates luminous, effective darks or clean glazes. Phthalo Green Yellow Shade is a bottle green. In concentrated to diluted states, it is transparent and super- staining. Organic and absolutely lightfast, most artists find this colour indispensable. The slightly bluish Phthalo Green BS can be readily modified with yellows and reds. Phthalo Green YS is a warmer basic green. Each creates luminous, effective darks or clean glazes. This Daniel Smith exclusive is a favorite of artists. It moves from a deep dark turquoise to a thin film of robin's egg blue in a single wash, making a remarkable transition from ground level to sky areas of garden florals. Ground from a scarlet-streaked mineral from the hills of Italy, Piemontite Genuine is a rich, versatile new PrimaTek® watercolour. A deep amethyst is the darkest value of this semi-transparent watercolor; adding water produces lovely violet-brown granulation with a carmine tone. Perfect for adding interest to shadows or painting the mottled surfaces of autumn leaves. This unforgettable semi-transparent orange is a smooth, saturated and pure addition to the watercolourist's palette. Capture the glory of a summer garden or the magic of a tropical sunset with this dynamic and versatile hue. This fire engine red is cleaner than Cadmium or Permanent Red. It is a modern synthetic-organic pigment. While close in value to its cousins the Perylenes, it disperses more evenly and is less granular. Highly durable and extremely transparent, all the Quinacridone colors excel in vivid clarity and intensity. This slightly sedimentary rich dark red-brown could lighten, brighten and eliminate mud browns in all your paintings. 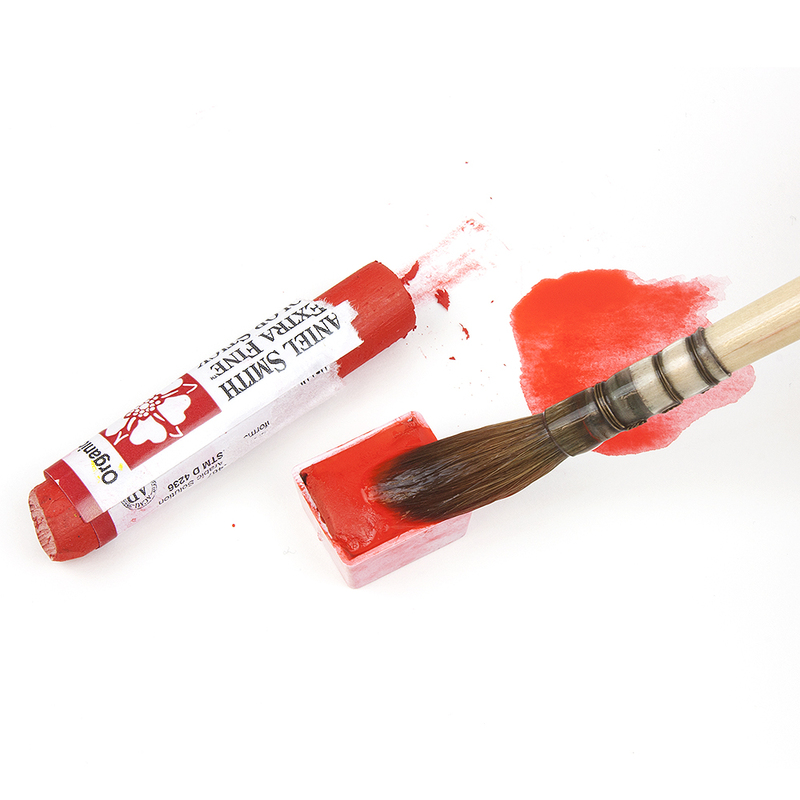 Use with Quinacridone Coral for branch and blossom paintings. A treat for the eyes of both painter and viewer, this intense Quinacridone colour is a clear red tinged with pink and orange. Highly durable and extremely transparent, all the Quinacridone colours excel in vivid clarity and intensity. Everyone's favorite, Quinacridone Gold replaces Raw Sienna and adds versatility with its glazing and mixing capabilities. It is an excellent low-staining golden yellow pigment that can enhance any mixture. A true, pure medium-staining red. Drop Naples Yellow into Quinacridone Red and create a peach, or paint dry brushstrokes onto apples. Highly durable and extremely transparent, all the Quinacridone colors excel in vivid clarity and intensity. The ultimate low-staining glazing pigment, certainly finer than any Burnt Sienna. For the traditional and purist watercolour painter, Quinacridone Sienna divides yellows from reds, falling on the orange line. Its place on the colour chart makes Quinacridone Sienna a complement-free pigment, easy to modify without revealing a hidden gray. Disperses evenly with slight granulation and moves from deep darks to clear, glowing washes. Like all Quinacridones, it is an extremely lightfast organic pigment. In terms of complementary couples, Quinacridone Violet mixes best with a cleaner primary green. Used since prehistoric times, an extremely permanent inorganic earth pigment of low intensity but medium-high tinting strength. Amazingly compatible with earth pigments and Quinacridones alike, this is a warm mossy green. It is richer and warmer than the original brighter Green Gold, and has an inviting glow. Daniel Smith's Sap Green is wonderful-the hue we love with the permanency we need. This non-fugitive formulation creates deep forest shadow-green mixed with French Ultramarine and mossy golden-greens and green-browns when mixed with Burnt Sienna or Quinacridone Sienna or Burnt Orange. We bring you an unusually beautiful Serpentine pigment from the land down under. This Australian green-colour serpentine is of a variety called Stichtite. A soft stone used cross-culturally for carving amulets used to ward off harm, our newest PrimaTek® has no comparison in any known paint palette. This surprising semi-transparent paint is a good green that develops granulating with specks of burnt scarlet-a great addition to your landscape and floral palette. Sodalite, with a distinctive deep blue colour is one of the components of Lapis Lazuli and very rare. DANIEL SMITH Sodalite is the finest quality and deepest blue that comes from Greenland and the flanks of Italy's Mt. Vesuvius. In watercolour, the inky colour of this semi precious stone granulates as it dries, layering a blue-black textural surface on a smooth blue-gray undertone. Low staining, lightfast and semi-transparent, Sodalite creates a three-dimensional quality as it dries. Create pastel shades with a creamy, semi-opaque finish by mixing Titanium White with your favourite watercolour pigments. Although not opaque enough for full coverage, this watercolour can be used straight from the tube to add highlights or as a light wash over other colours for a soft veil of light tone. Excellent lightfastness and a smooth finish are hallmarks of this useful pigment. Ultramarine Blue plots cooler and bluer than the more saturated French Ultramarine. Temperature aside, both blues have equal permanence, lightfastness and semi-transparency. An artisan's favorite, this exciting medium to high staining green blends French Ultramarine with Quinacridone Gold. The inorganic, sedimentary French Ultramarine settles and granulates while the organic, transparent Quinacridone Gold floats into a golden halo. While its mixing uses are limited, Yellow Ochre works well with transparent pigments.